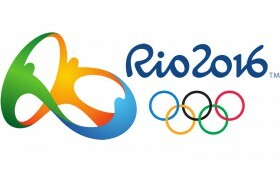 Rio 2016 Olympic Games is just around the corner, and C&W Communications (C&W), operators of Flow and LIME brands in the Caribbean, has pledged to bring more Caribbean Olympic content to regional fans. With just 361 days to go, C&W, the Exclusive Telecommunications Partner to the Caribbean Association of National Olympic Committees (CANOC), has also committed to support Caribbean athletes as they pursue their Olympic dreams. With the hopes of millions of Caribbean nationals in the diaspora and across the region hanging onto the prospect of mining gold, the Olympic Games are eagerly anticipated and a major source of national and regional pride. Only last week, Flow Jamaica announced a major partnership with the Jamaica Athletics Administrative Association, (JAAA), and inked a 2-year deal valued at J$28 million (approx. US$239,000) to sponsor all its national championships and teams. In the coming weeks, other C&W markets across the region will announce their support of local athletes in preparation for Rio 2016. Earlier in 2015, C&W revealed it had become the exclusive telecom partner to the CANOC, which had secured the Olympic content rights in 20 English-speaking countries, as well as non-exclusive rights to 10 non-English-speaking countries throughout the region. The company also announced its intention to thrill Caribbean audiences by bringing multi-platform streams of exclusive, locally focused content featuring Caribbean athletes as they pursue victory at the games. “We are proud to bring a more enriched Olympic experience to the Caribbean,” said John Reid, President of the C&W Consumer Group. “We are readying our markets for the games through our sponsorship of athletes and programmes, and by offering multi-platform coverage featuring Olympic content to Caribbean viewers who yearn to see more home-grown talents live and in action on the prestigious world stage,” added Reid. In addition to the JAAA partnership, C&W will unveil a full schedule of activities as it marks the countdown to RIO 2016; customers will soon notice their local Flow retail stores featuring Olympic promotions.